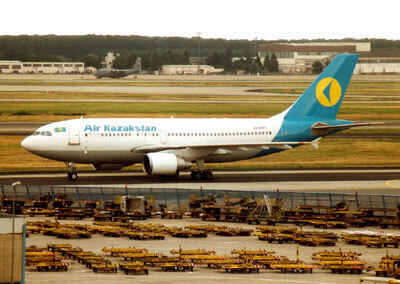 Air Kazakhstan used to be the national airline carrier of Kazakhstan. The airline company begin flight operations in the year 1997 and handles both domestic and international passenger flight services under the original name of Kazakhstan Airways before it changed to Air Kazakhstan few months later. The airline however ceased operations in 2004 due to bankruptcy and was taken over by Air Astana. Kazakhstan Airlines Flight 1907 collided with Saudi Arabian Airlines Flight 763 in one of the worst ever passenger airlines air-disasters which happened in November 1996. The Ilyushin Il-76 Kazakhstan Airlines aircraft was flying from Chimkent, Kazakhstan to New Delhi, India when the aircraft collided with Saudi Arabian Airlines Boeing 747-168B aircraft which was flying on its way to Dhahran, Saudi Arabia from New Delhi, India.